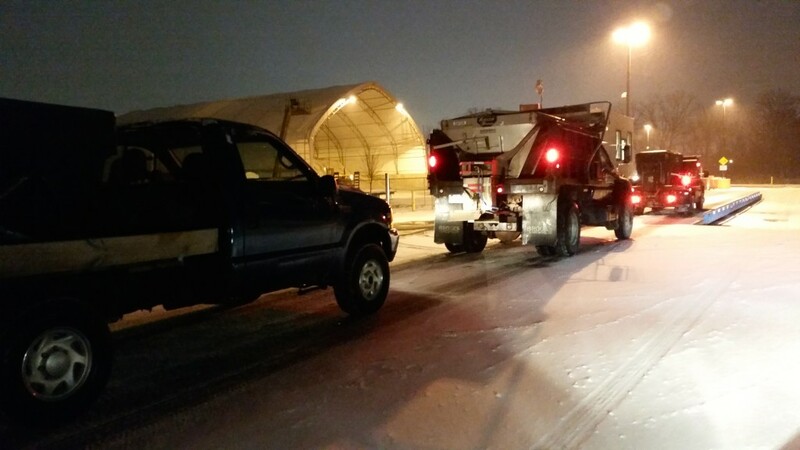 The Duke Company’s Rock Salt & Road Salt Barn in Rochester NY will be open until 8 p.m. tonight (Wednesday, January 7, 2015). Call 585-292-9870 for immediate service from our Ice Control Experts. The Duke Company is proud to be a customer service leader & one-stop shop for Rochester NY, Ithaca NY, Upstate NY and Western New York. We specialize in supporting our customers with excellent service, professional advice, the fastest delivery and outstanding prices. Tell us about your Rental Equipment & Tool Rental needs, and you can count on The Duke Company to exceed your expectations. We proudly carry one of Upstate NY’s largest selection of professional building supplies. We are glad to assist your construction crew (whether commercial, industrial, or residential) with questions about Building Products, Construction Materials, Safety Products and a complete range of Traffic Control supplies. To buy a complete range of snow plow accessories, bagged deicers and wholesale salt, please visit Rock Salt & Ice Control HQ. Upstate NY Snow Developing - Rock Salt Barn Open at 3 p.m.